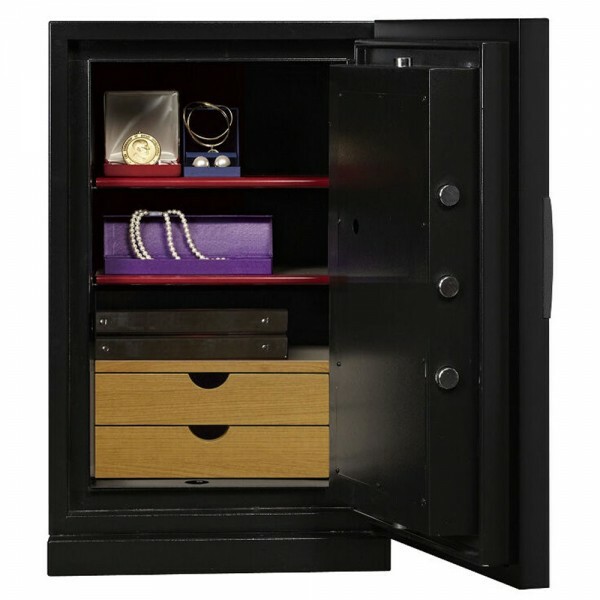 The Phoenix Next Luxury Safe Size 2 is a stylish and modern safe which offers security to cash and valuables in small businesses and homes. It is suitable where discretion is needed as their finishes can blend in with other furniture in the room and the lock can be closed by a slide panel. It is tested to International NT Fire 017 - 60 Paper protecting paper documents from fire for up to 60 minutes. In addition, it is tested to MTC - DIP120-60DM fire test standard thereby providing fire protection for digital media, DVD's, USB's and hard drives for up to 60 minutes. Furthermore. it is fitted with an advanced high security touch panel fingerprint lock which has a clear LED display. It has an internal alarm, dual control, hidden code, unlimited scrambled code that can be programmed as standard with 128 fingerprints. 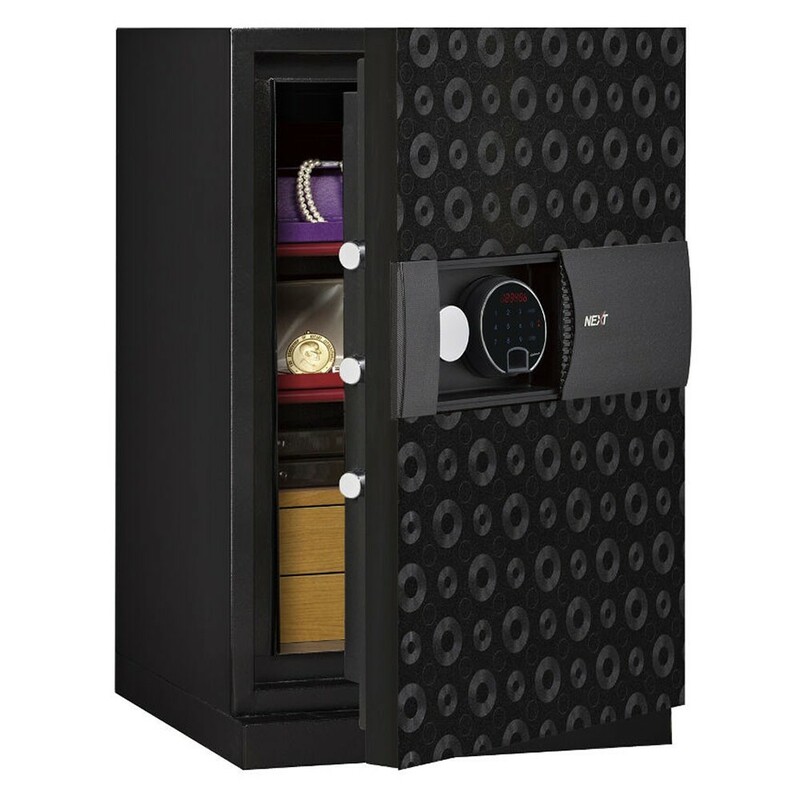 The Phoenix Next Luxury Safe Size 2 safe is locked by 3 way live locking bolts (32mm in diameter each) which are further protected by anti-drill plates. It is recommended for an overnight cash risk of £3,000 or valuables worth £30,000.